With post-motor filter to capture allergens. About the V6 Absolute stick vacuum. Review the dimensions, color and other physical and visible characteristics of the stick vacuum. If the stick vacuum is cord-less (or corded) and if so what it's run and recharge times are. Additonal cleaning characterstics of the stick vacuum including its filter, cyclonic action and if it is rated for use in homes with pets. 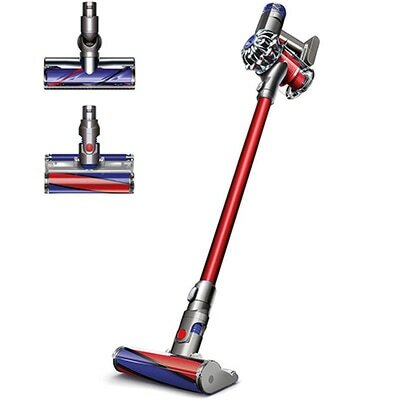 Nozzles, cleaning heads, brushes and other accessories included with the stick vacuum. The surfaces the vacuum cleaner is capable of cleaning. The manufacturer warranty and certifications for the vacuum.